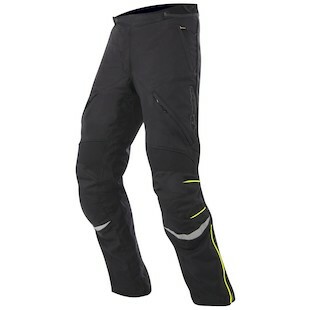 Alpinestars Newland GTX Jacket & Pants: New MVP in town! It’s a sad day when we have to report that gear from a product line is “hanging up the cleats” and retiring. Unfortunately, this is the case for the Alpinestars Lucerne and Koln Jackets. These were two key pieces in the 4-Season Adventure / Touring lineup from our friends at Alpinestars. It’s not like them to disappoint. Is there light at the end of this tunnel? Of course there is. Out with the old and in with the Alpinestars New Land Jacket and Pants. Let’s talk stats. 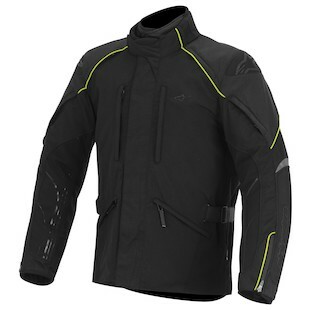 The Alpinestars New Land Pants and Jacket should be front runners for “Utility Player of the Year” this season. No position is unplayable. No task unfieldable. No opponent is safe. The statistics are staggering. When this system is up to the plate, the Newland backs down from no one because of its tough Ripstop exterior and CE rated armor. In addition, a Gore-Tex liner and stretch panels keep the Newland Jacket comfortable in the field of play rain or shine. What does all this mean……..? Alpinestars hit the Free Agents market and signed a power hitter. The Newland GTX Jacket and Pants should fit right in the middle of their Adventure / Touring lineup between the Long Range 2 and the Durban. We can expect a highly valued player in the Adventure / Touring market that is going to offer exceptional protection, seasonality, and comfort. This prospect has Hall of Fame potential.